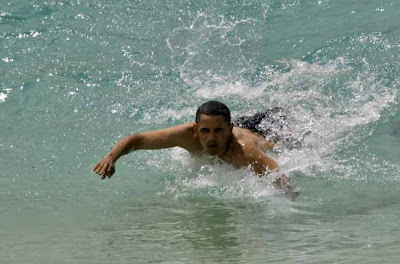 Barack Obama ... bodysurfing in Hawaii in August 2008. 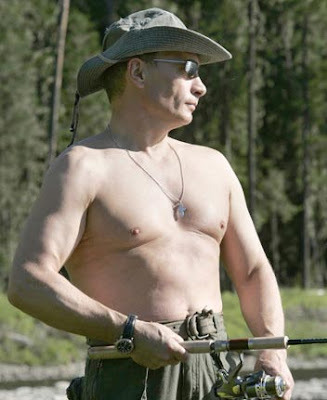 Russian President Vladimir Putin ... fishing in the headwaters of the Yenisey River. French President Nicolas Sarkozy ... paddling a canoe on Lake Winnipesaukee while on vacation in Wolfeboro, New Hampshire . 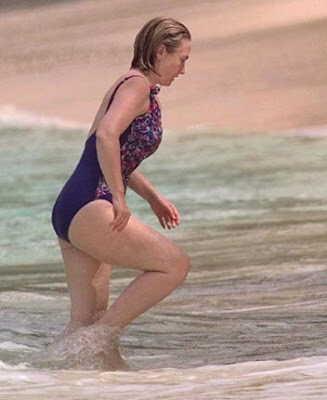 Hillary Clinton ... takes a swim in Heron Bay, Barbados 1997. 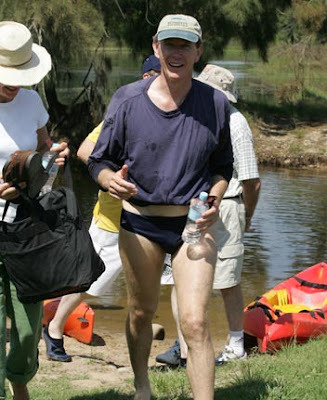 Peter Debnam ... the former NSW Liberal leader caused quite a storm with his budgie smugglers.